The whirlwind of applying to college can be discouraging and intimidating for high school students. When acceptance rates are low and competition is high, it’s hard to know how to stand out from the crowd and secure a spot at your dream school. Filling out college applications does take hard work—but it doesn’t have to be loaded with stress. When you know what mistakes to avoid, applying to college can be a smooth process that allows students to showcase their accomplishments, personalities and experiences, and win that coveted spot in the freshman class. According to the Bureau of Labor Statistics, more than 65% of high school graduates from the class of 2013 went to college that fall. These students knew what to do on successful college applications, but perhaps more importantly, they also knew what not to do. NerdScholar previously asked the experts for college search guidance, and now we’ve asked them what mistakes students should avoid when filling out their college applications. 1. Providing only generic information devoid of personality. More than anything, an admissions officer wants to get to know a student through a college application. Rather than focusing on achievements that many other applicants may share, such as a high GPA and a position in student government, students should provide more personal information. “The essay is the best way to tell your story. This is where you can be the most memorable and it really is an opportunity to connect your unique attributes and experiences with the vibe of the college or university,” says Courtney Minden, dean of undergraduate admission at Babson College in Massachusetts. “The best way is to simply tell your story in a genuine and direct way, without the padding of grandiose or self-congratulatory language.” The entire application should present the student as a real person, and showcase his or her experiences and opinions. 2. Overlooking the school-specific questions and essays. Many colleges require students to submit application materials through a large centralized platform, such as the Common Application. 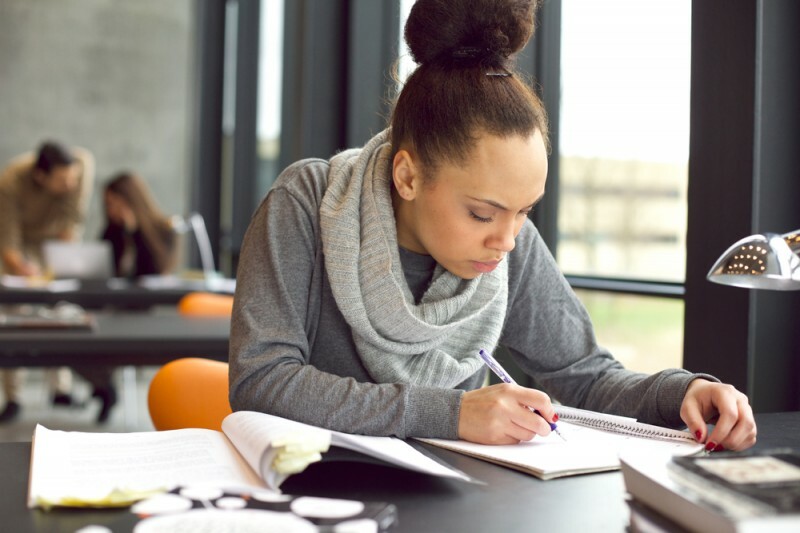 However, most colleges will also request supplemental essays that are specific to the school, and sometimes students don’t address this area very attentively. Minden says, “Often, when a student is applying to many schools at once, they may try to recycle some of their essays to other schools to save time. The purpose of the supplement is to answer questions specifically about the school and what you see yourself adding to the community.” Students should avoid submitting “one size fits all” essays, since schools want to know why you are the right candidate for them specifically. For example, rather than writing something vague such as, “I like your school because it’s a close-knit community outside a city, but with a campus and close relationships to professors,” Minden recommends mentioning distinct programs, professors and research opportunities. 3. Putting off the application process. 4. Allowing parents or counselors to guide the application process. Parents and college counselors can be great resources when applying to college, but it’s ultimately the student who decides where he or she wants to spend the next four years. Parents and counselors may urge students to choose certain schools based on recommendation, prestige or personal connection, but “students should take a personal inventory of the things that are most important to them, as this will help determine what schools will be a good fit,” says Richer. 5. Failing to use all available resources, such as teachers and coaches. While outside sources should not guide a student’s application process, they can still provide valuable feedback. “Ask questions to everyone. Most people are happy to give their perspective,” Walas says. “School counselors are great resources. English and writing teachers are great proofreaders of college essays. Coaches and bosses may be able to help you practice for a college interview.” These people will typically help where and when they can, as long as students take the initiative and ask. Having multiple people review a student’s application will help ensure that there are no grammatical errors and that all questions are read correctly and answered accurately. 6. Not submitting recommended materials. Most college applications will allow students to submit optional materials, such as research reports or recommendation letters from non-academic sources. Daniels says to “consider the optional items as a way to showcase your achievements, but generally it is not a good idea to provide materials beyond what the college describes in their ‘optional’ list.” Students should be careful not to submit anything unnecessary, or already included in another part of the application. Admissions officers are “receiving lots of applications and supplemental materials, and you do not want to stand out in a negative way for providing items outside the suggested list,” adds Daniels. Courtney Minden is currently in her third year at Babson College. In July 2014, she was named dean of undergraduate admission, before which she served as the director of admission for two years. Prior to Babson, she served as associate director of undergraduate admissions at Tufts University. She holds a B.A. from Connecticut College and an Ed.M. from the Harvard School of Education. Julie Walas is the manager of undergraduate programs at the iSchool at Syracuse University. She works to recruit talented and diverse classes of undergraduates to the iSchool and to engage the students in opportunities that enhance their education when they arrive. For the past two summers, she’s also served as the college consultant for Syracuse University’s Summer College Program. On the side, her favorite role is as the Coach to SU’s Mascot Program and Team, Otto the Orange. Daniel Richer is the senior associate director of admission at Saint Anselm College in Manchester, New Hampshire. Mary Winsett has worked in the Middle Tennessee State University admissions office for 23 years, where she has enjoyed assisting the students with their questions and listening to their concerns. Gerri Daniels has been an admission professional for 27 years and has served as the director of admissions at Northern Michigan University in Marquette, Michigan, for 17 years. She presents frequently at regional and national conferences and has served in leadership roles at the state and national level in several organizations, including the National Association for College Admission Counseling. She earned her B.A. in Speech Communication from Northern Michigan University and her M.A. in Communication from Miami University. Image of student via Shutterstock.